Miami Heat center Hassan Whiteside, the NBA’s second-leading rebounder, will not play in Monday’s game against Andre Drummond and the Detroit Pistons because of a knee injury. 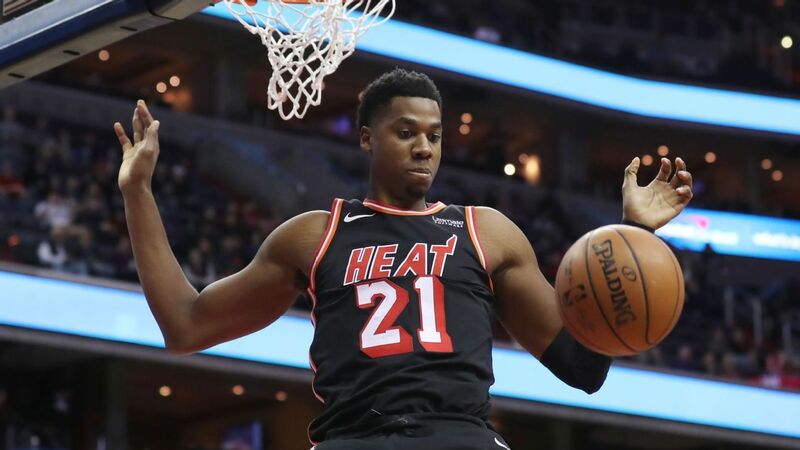 The Heat, who conclude a three-game road trip with Monday’s contest in Detroit, announced that Whiteside will be re-evaluated when the team returns to Miami. Whiteside injured his right knee in the second half of Saturday’s game in Atlanta against the Hawks and did not return. He said Sunday that he didn’t believe his injury was serious. The 7-foot Whiteside is averaging 12.4 points and 14.6 rebounds per game this season, trailing only Drummond, who is averaging 15.4 rebounds per game.